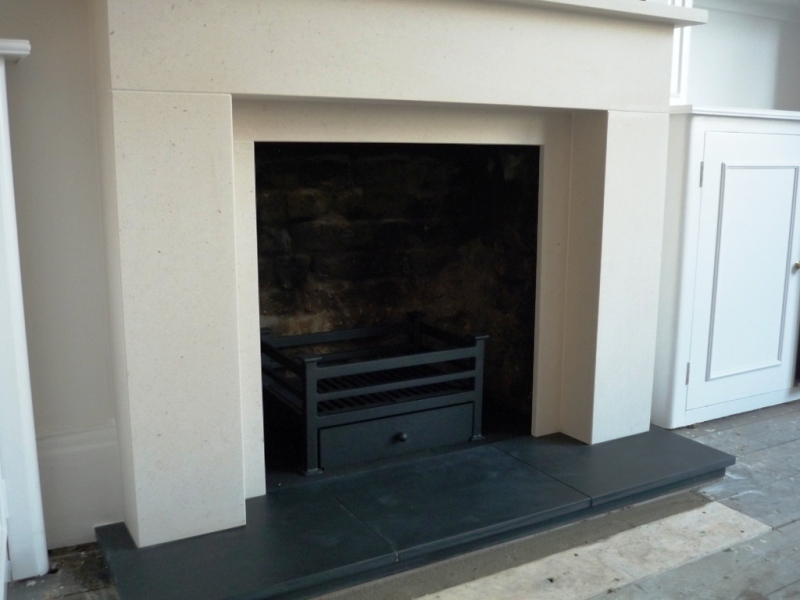 As part of a major refurbishment of this beautiful house in Battersea, our client asked us to install a new fireplace. Our client wished for a fireplace with simple, clean lines but with an elegance befitting the rest of the house. The client knew exactly what they wanted. They had seen one of our projects displayed on our website based in Notting Hill. 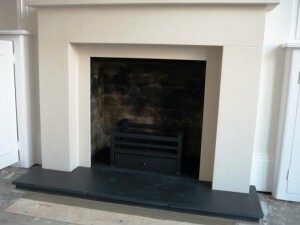 They chose a beautiful limestone fireplace utilising the existing brick chamber. In addition to installing the new fireplace, we also fitted a new sub hearth to comply with Building Regulations for solid fuel fires.